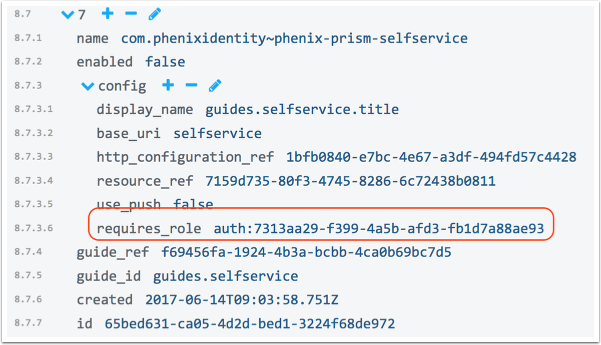 This PSD describes how to customize Self Service in PhenixID Server. Locate the module for the web application. In this example, we use self-service. Find the value of "requires_role"